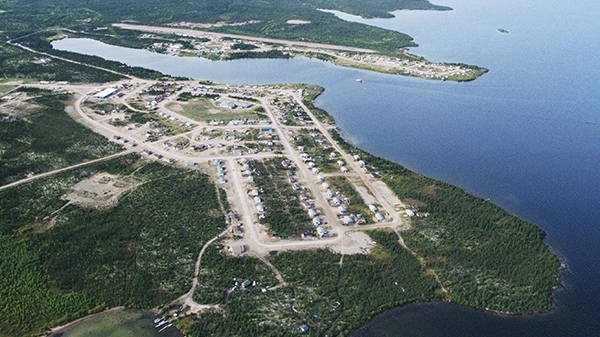 The hamlet of Wollaston Lake and Hatchet Lake First Nation (HLFN) are situated in the Athabasca Basin region on the southeastern shore of Wollaston Lake, the largest bifurcation lake in the world, draining naturally in two directions. The lake is known in Dene as “Axe” Lake, and the community is called “The Post” to outlying dwellers of the lake. Access to the hamlet is by ice road in the winter and by barge during the open water season. Year round access is provided by two airline companies that operate scheduled flights to and from the surrounding communities and southern Saskatchewan. There is a desire for a year-round road to connect the community to the south. Combined, Wollaston and HLFN share a population of about 1,750. Hatchet Lake band members are part of a large diverse Aboriginal group, the Denesuline. As recently as the early 1940’s, people lived as a hunting gathering society. Today, the seasonal hunting patterns of the caribou are still followed by many. The Wollaston settlement grew as a result of commercial and trapping, mainly by immigrants from Brochet and was a trading post for many years. Two schools in the community are named after the late Roman Catholic priest, Father Jean Megret and are strongly rooted in culture. Students receive instruction in English and Dene and engage in cultural activities. Each year, two weeks are spent out on Moose Island with Elders and community members. Community members still commercial fish seasonally. For some, it is still a main source of income. A main concern for the community members, with the mines surrounding the community itself, is water contamination. Protecting the water and sustaining it for our future generations is important to the community. In June, 2016 the Hatchet Lake Denesuline First Nation and community of Wollaston, along with the First Nations of Black Lake and Fond du Lac, and the communities of Stony Rapids, Uranium City and Camsell Portage signed a historic collaboration agreement with Cameco and Orano (formerly AREVA Resources). 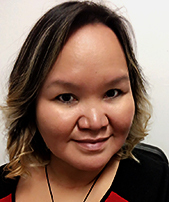 The Yá thi Néné Collaboration Agreement is designed to enhance workforce and business development, environmental stewardship and community investment in the Athabasca Basin. The Yá thi Néné Joint Implementation Committee has released a 2017 Report to Community Members outlining progress made from the date of signing to the end of the year.